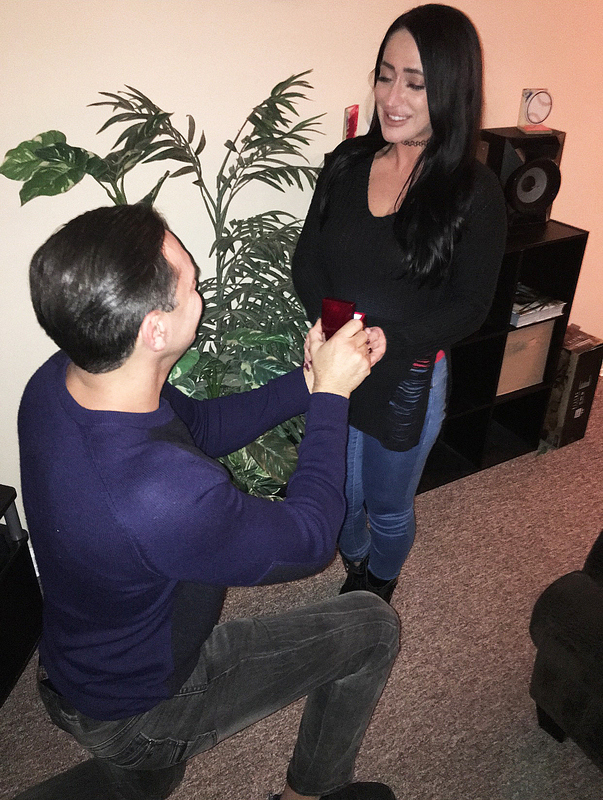 Jersey Shore alum Angelina Pivarnick accepted a marriage proposal from her sanitation worker boyfriend, Chris Larangeira, on Friday, January 12. “We went out to a beautiful Italian dinner,” Pivarnick, 31, tells Us Weekly exclusively of the evening Larangeira popped the question. After the romantic meal, the couple, who have been dating one year, headed back to Larangeira’s home where he had written “I Love You Angelina” in flowers. Pivarnick was was previously engaged to David Kovacs in 2011 and Louie Gero in 2016.